Tourist activities in Venice mainly concerns visits inside the churches, palaces and the islands of the lagoon. 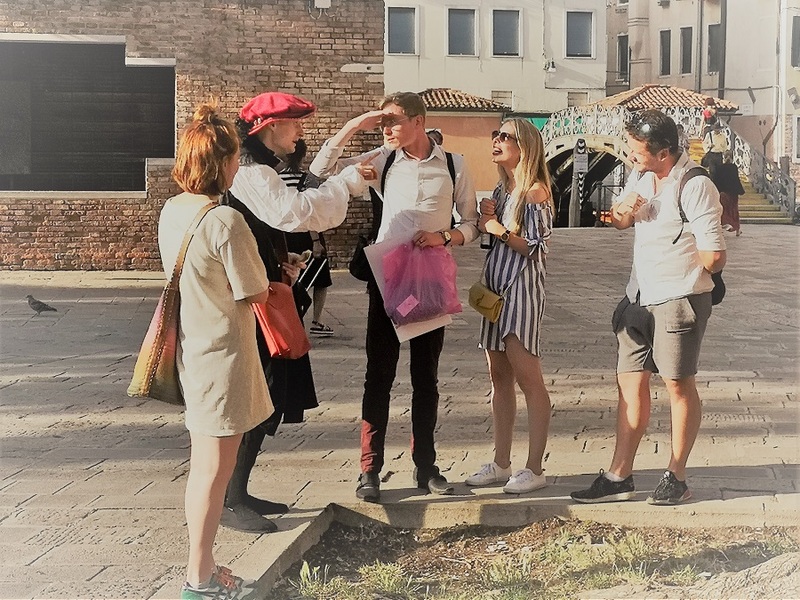 You could be tired of standard turist activities in Venice and feel yourself tempted to sneak out of the crowd of the main itineraries with a smart detour. If so, then you could be possibly interested in an immersive tour experience as Adventure Theater! 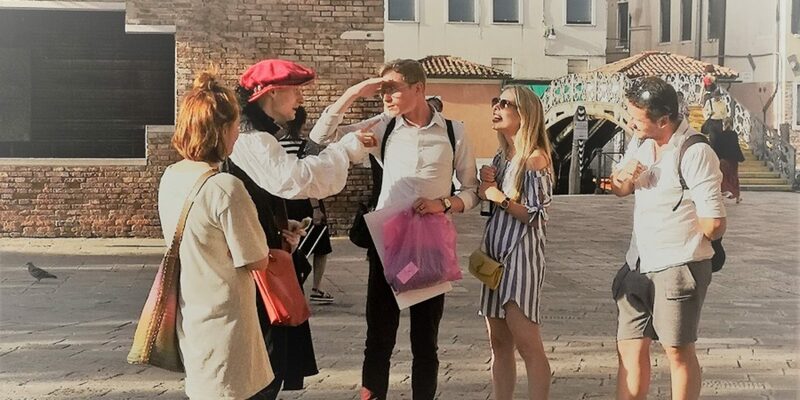 Discover Venice’s lesser visited attractions on an amazing walk with professional actors: click here to see our shows in Venice. 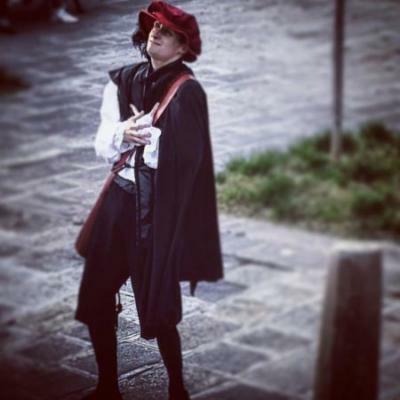 Every day available with a reservation, Adventure Theater is the first promenade show that will take you to visit Cannaregio Sestiere and introduce you those who made the history of Venice. 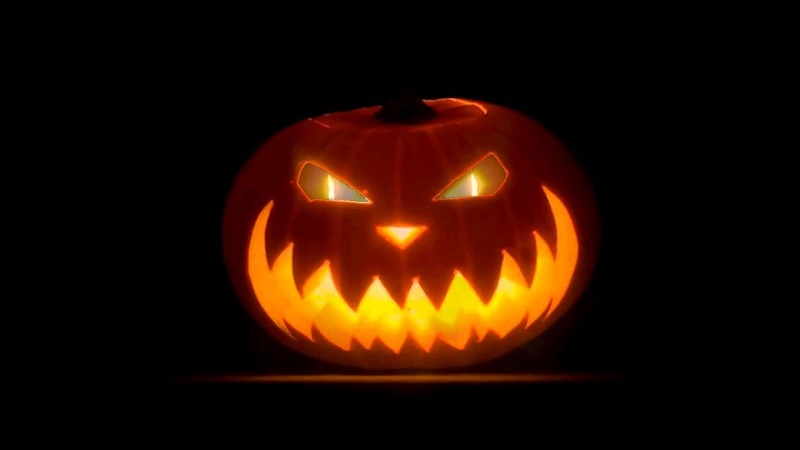 Uncover myths and legends of the most fascinating in the world, with an unusual experience between fiction and reality, far away from the crowd whilst having fun! 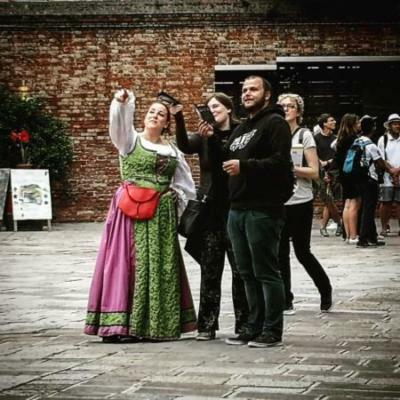 Among the whole tourist activities in Venice, make yourself a present and turn your holiday into a great experience! Unlike the usual tourist activities in Venice, Adventure Theater is for small groups only (max 12 persons per show). 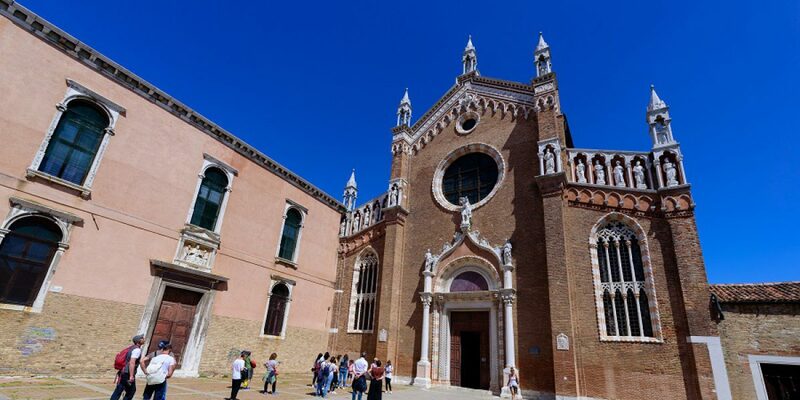 Our shows will take you to see: Venice Jewish Ghetto, Sant Alvise, Campo dei Mori, Madonna dell’Orto, Scuola della Misericordia and Palazzo Lezze walking by one of the most suggestive itineraries in Venice. Outside the train station on the other side of the canal you will see the church of San Simeon Piccolo. Leave it as last thing to see before take your train back. 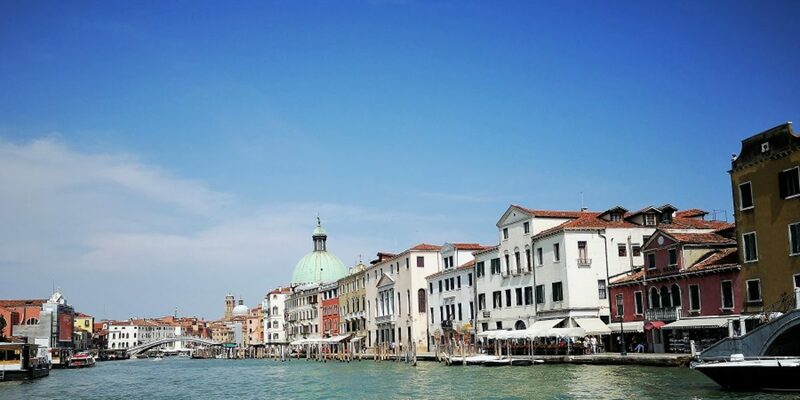 Spending one day in Venice, you will need to ride 2 or three ferries. 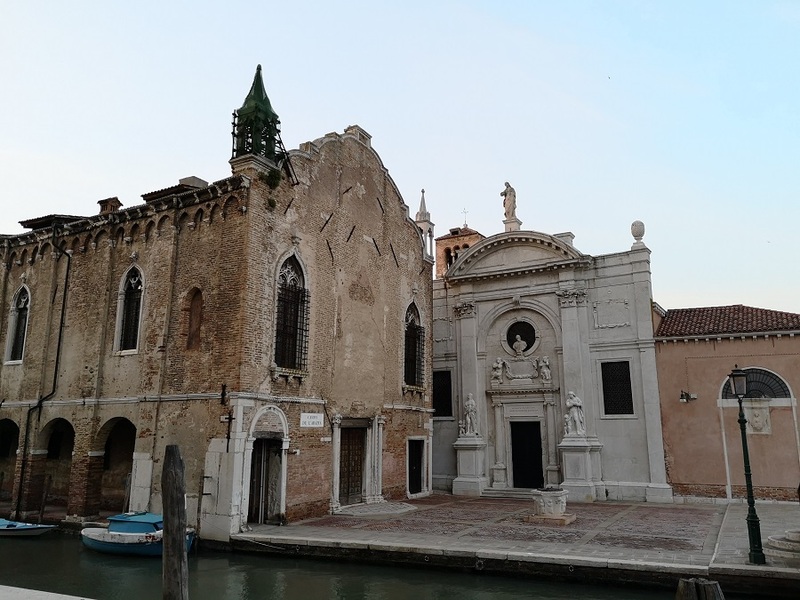 The Church of Madonna dell’Orto belongs to Venice sestiere of Cannaregio. Madonna dell’Orto ‘s church takes its name from a sculpture of the Virgin Mary that was supposedly found in a garden nearby by a farmer who – legend has it – discovered it emanating a glow of its own accord during the night. We suggest that you approach this church from Campo dei Mori in order to experience its sudden appearance from behind the buildings. On the mid-level stand the 12 apostles. And, just below the apostles, a statue of St. Christopher carrying the Baby on his shoulder, with the Virgin and the Archangel Gabriel above the main entrance of the church. 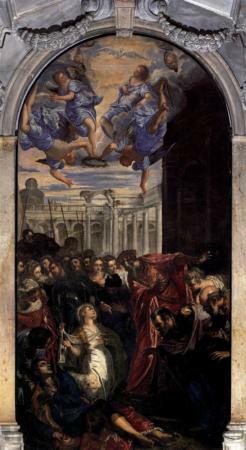 Inside the church of Madonna dell’Orto, you will find a host of paintings by Giacomo Tintoretto (The Presentation of the Virgin, The Martyrdom of St Paul, The Vision of St. Peter, Moses Receiving the Tables of the Law, The Miracle of St. Agnes and of course, The last Judgement). Click here to find the visiting hours for viewing these paintings. It’s also worth noting, that in 1993, the small painting of Giovanni Bellini’s Madonna with Child, was stolen from the chapel. The bell-tower at the back of the church is one of the highest in Venice and strongly resembles an islamic minaret, can you think why? 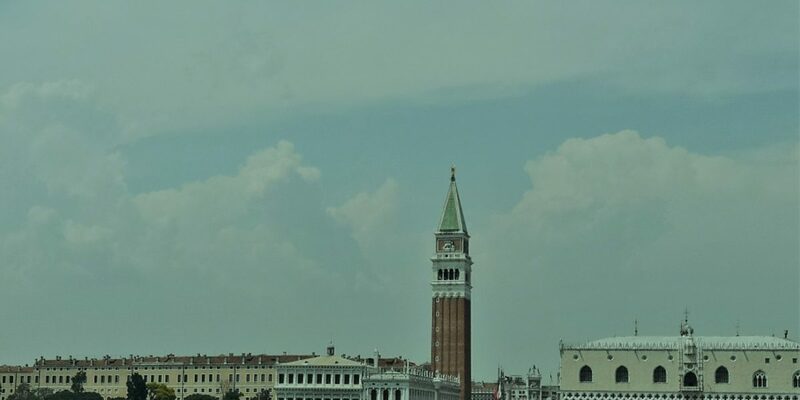 During the 13th century, the labour force in Venice came mainly from the middle-east, and they brought their culture and traditions with them, and so in turn this strongly influenced the parameters of this bell-tower construction and final design. Also, if one has the eye for it – you may notice that one of the 12 apostles appears twice in the middle level of the church’s outer facade, why is this ? Well, the order of friars known as the “Humiliati”, responsible for erecting the church, decided not to show Jude and instead replaced him with a second statue of Matthias.